Fuze named a Globe™ Leader in UCC for the third straight time. Fuze, the leading cloud-based communications platform provider for the modern global enterprise, announced today that it has been named one of Inc. magazine’s Best Workplaces for 2018, the publication’s third annual ranking in the fast-growing private company sector. Hitting newsstands today in the June 2018 issue, and as part of a prominent inc.com feature, the award is the result of a wide-ranging and comprehensive measurement of private American companies who have created exceptional workplaces through vibrant cultures, deep employee engagement, and stellar benefits. Out of thousands of applicants, Inc. singled out just under 300 winning companies. Built in partnership with employee engagement and work culture experts Quantum Workplace of Omaha, NE, Inc.’s Best Workplaces list is a magnifying glass on how innovative companies can truly raise the bar in hiring and retaining the best talent. What does it take to become a company that workers want to be part of? Inc. magazine says it’s more than good pay and good perks – it’s also about having a clear purpose, a sense of humor, and leadership that makes them all work together. The 2018 Inc. Best Workplaces Awards assessed applicants on the basis of benefits offered and employees’ responses to a unique, 30-question survey fielded by each of the applying companies. Responses were evaluated by the research team at Quantum Workplace. For its results to qualify, each company had to achieve a statistically significant response rate based on employee count. Survey scores account for employer size to level the playing field between small and large businesses. All companies had to have minimum of 10 employees and to be U.S.-based, privately held, and independent – that is, not subsidiaries or divisions of other companies. Strong company cultures breed stunning individual and team performance. Workers at the best companies don’t view their employers as sugar daddies. They aren’t mesmerized by whatever giveaways seem to be the latest fad––be it gourmet lunches or beer fridges. When employees feel valued by their organization, they are far more likely to be engaged. This single factor proved to be one of the largest drivers of employee engagement. 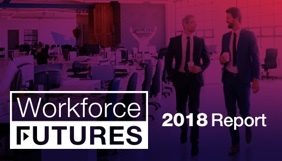 This survey uncovered themes consistent with Fuze’s recent report, “Workforce Futures,” which polled 6,600 global enterprise employees about their views on the workplace. The research confirms that today’s employees aren’t valuing companies for the monetary “perks.” They’re far more interested in having the flexibility to work where and how they feel most productive. More specifically, the study found that 95 percent of workers say that work-life balance is an important factor when searching for a new job and 89 percent of people prefer a job the offers flextime. “By including an employee survey into this year’s Best Workplaces selection process, we’ve really raised the bar. Companies that don’t score at the very top of their peer group don’t make the cut. So, our hats are off to the winners. They all excelled at engaging their workers, making them feel appreciated, and aligning them behind a mission. And remember, that’s not just our opinion: The employees told us that themselves,” says James Ledbetter, Inc. editor-in-chief. Fuze is a global, cloud-based unified communications platform that empowers productivity and delivers insights across the enterprise by enabling simplified business voice communications, flexible video conferencing, and always-on collaboration. Formerly ThinkingPhones, Fuze allows the modern, mobile workforce to seamlessly communicate anytime, anywhere, across any device. Headquartered in Boston, MA, Fuze has additional locations including New York, San Francisco, Seattle, Ottawa, London, Amsterdam, Aveiro (Portugal), Paris, Munich, Zurich, Copenhagen, and Sydney. For more information, visit www.fuze.com. Founded in 1979 and acquired in 2005 by Mansueto Ventures, Inc. is the only major brand dedicated exclusively to owners and managers of growing private companies, with the aim to deliver real solutions for today's innovative company builders. Winner of Advertising Age’s “The A-List” in January 2015, and the National Magazine Award for General Excellence in both 2014 and 2012. Total monthly audience reach for the brand has grown significantly from 2,000,000 in 2010 to over 20,000,000 today. 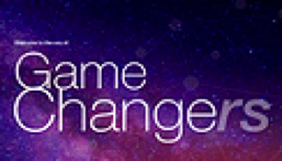 For more information, visit http://www.inc.com/. Quantum Workplace is an HR technology company that serves organizations through employee engagement surveys, action-planning tools, exit surveys, peer-to-peer recognition, performance evaluations, goal tracking, and leadership assessment. For more information, visit www.quantumworkplace.com.